Travis Garnto with daughter Laney and wife Susan. 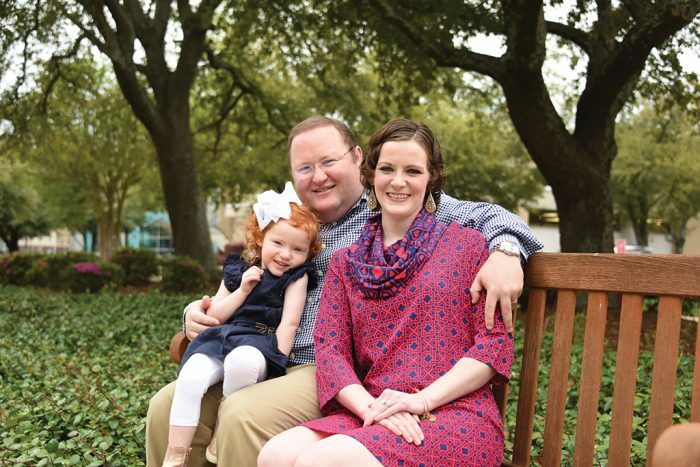 Travis Garnto and his wife, Susan, had just celebrated the first birthday of their adorable daughter, Laney, in 2015 when another milestone grimly presented itself: Susan was diagnosed with breast cancer. 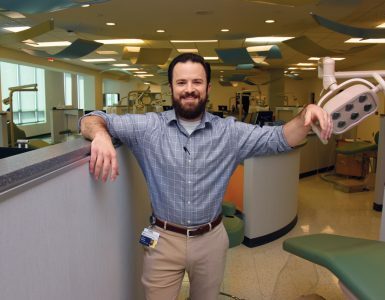 And only a year into dental education, his wife’s cancer battle began. Not only was Garnto in the thick of his studies, but he was researching lights for polymerizing composites with his mentor, Dr. Frederick Rueggeberg. His plate couldn’t have been fuller. Garnto’s burden was eased in another way as well. 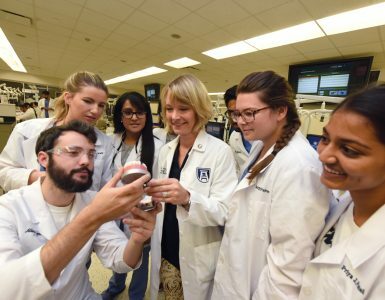 He has amassed several scholarships in dental school, and in his senior year, he was named the recipient of yet another: the Dr. Hudson J. Powell Sr. Memorial Scholarship. 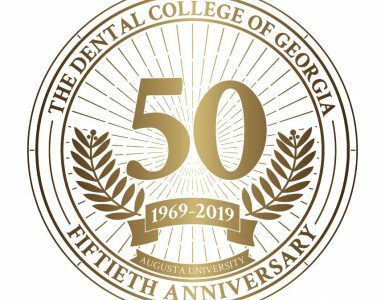 The scholarship fund was established in 2014 to memorialize a 1978 DCG alumnus who died of cancer after practicing dentistry in Statesboro, Georgia, for 35 years.